What does it mean when a tree has been inspected? The International Society of Arboriculture (ISA) divides tree risk assessment into three levels. These are often modified to collect additional data that clients deem important and within available timeframe and resources. For example, in a large estate with thousands of trees, trees situated away from human habitation may get a Level 1 assessment, while trees close to road junctions or of a certain girth size receive Level 2 or 3 assessments on a more frequent basis. Grade the likelihood of failure of identified tree parts (could be branches, trunk etc). Grade the consequences of failure. 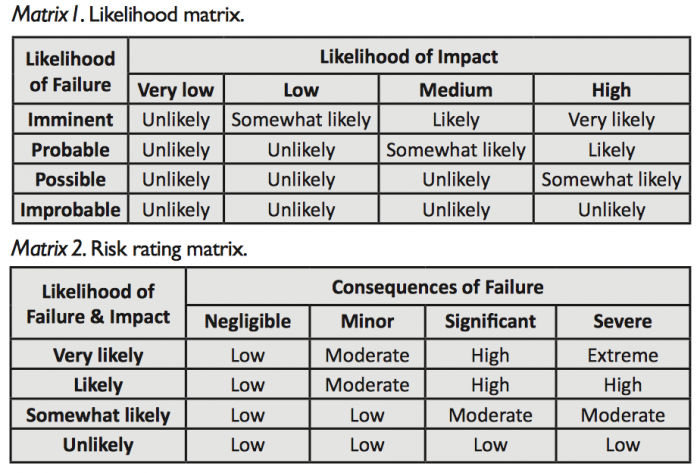 The risk rating gives a good gauge for prioritizing remedial actions. It is worth stressing that every part of the process, not just the final rating, is important. An insufficiently thorough assessment level cannot give enough information for a reliable risk rating, while an overly excessive assessment level wastes time and resources. We hope that this gives the public a better idea of how tree risk is evaluated, this is but a brief explanation of the risk assessment process. Full tree risk assessment courses and manuals should be available from the Centre for Urban Greenery and Ecology (CUGE).